This highly readable study from the RSPB Spotlight series looks closely at both birds, examining their differences and similarities. The RSPB Spotlight series introduces a selection of iconic UK wildlife to the general reader. This latest title focuses upon the swallow and the swift, two well known birds that, although unrelated, are often combined and, indeed, confused in the popular imagination. Traditional heralds of the European summer, swallows and swifts have many things in common. Both feed on aerial insects and are thus similarly adapted for an aerial lifestyle, with long wings, aerodynamic bodies and fast agile flight. Both have a penchant for breeding on or around buildings, bringing them into close contact with people. And both are long-distance migrants, departing our insect-free shores in autumn to spend winter in sub-Saharan Africa then returning the follow spring. These seemingly miraculous journeys, combined with a predilection for returning to the same building to breed year after year, has seen both birds embedded deep in our cultural heritage. Appearances, however, can be deceptive. Swallows and swifts are not related. Swallows (which also include martins) belong to the order passeriformes, or perching birds, alongside the likes of sparrows and robins. Our UK species, the barn swallow, is the best known of some 83 species worldwide. Swifts belong to the order Apodiformes, alongside hummingbirds, and our common swift is one of some 100 species worldwide. The striking similarities come down to convergent evolution, a process by which animals from separate evolutionary roots evolve to resemble one another in this case, by adapting to the shared demands of a life spent catching small flying insects. The similarities are so striking that it is perhaps unsurprising how often swifts and swallows are confused. This highly readable study looks closely at both birds, examining both their differences and similarities. Separate chapters cover all aspects of their biology and lifestyle, from their mind-boggling migrations to the mud construction of their nests. Fascinating secrets are revealed, such as how swifts may pass an entire year in flight without once landing. 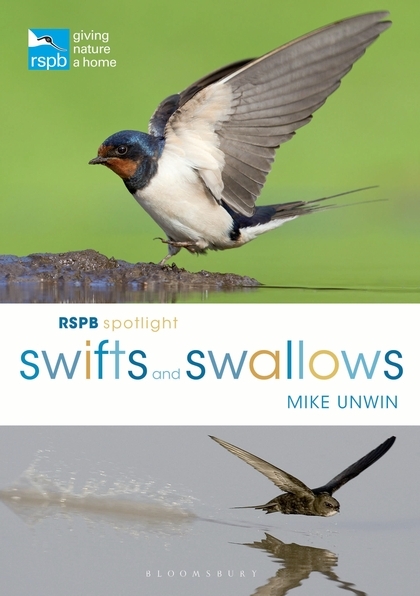 The book also looks at other swifts and swallows around the world, placing our two UK species within this broader context. Finally, it examines the relationship that we have enjoyed with these birds since time immemorial, spanning both culture and conservation, and offers expert tips on where and how you can watch them for yourself.